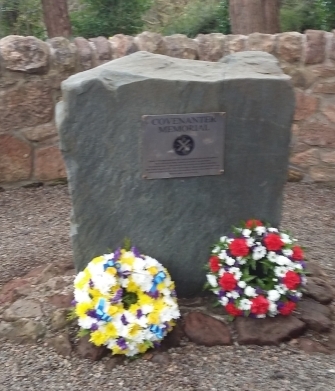 A new boulder with plaque was erected by the SCMA. 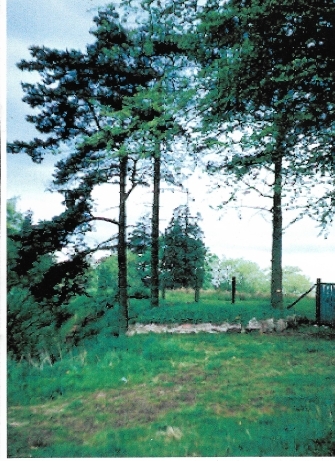 On 25 September 2005 the SCMA planted a third tree on the site, and it was dedicated by Rev J Loudon Melrose. 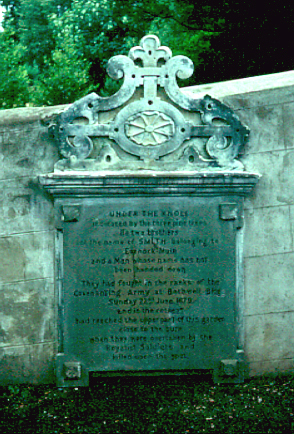 A new memorial plaque was erected 2006, copying most of the original inscription. In 2017 a new tree was planted on the site. 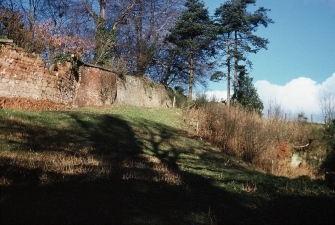 The low mound adjoining the memorial marks the graves of three Covenanters who died here after the Battle of Bothwell Bridge. 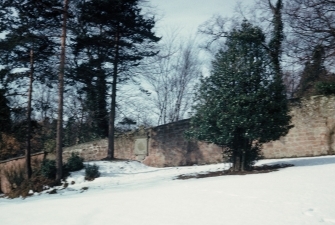 The site of three Covenanters' graves at Earnock, just off Lady Watson Gardens (near Woodfoot Road, Hamilton), is marked by a mound, and for many years was marked by three Scots Pine trees. One of these was blown over in a storm in 1900. 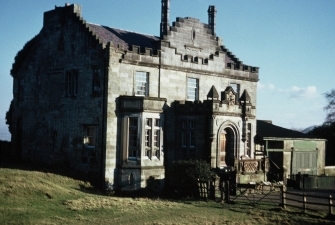 Wood from this tree was later made into a gun cabinet, which is still preserved at Ross House, near Hamilton, by the long-time owners of the estate. 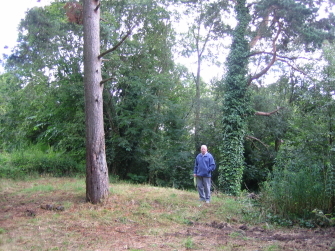 Later trees were planted on the site. 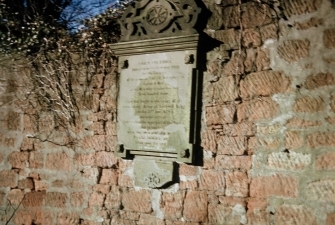 The grave was for many years marked by a stone memorial, built into the wall of the Earnock estate policies, but following considerable vandalism it was decided to have it removed to a spot adjacent to the 'Heads' memorial in Hamilton Old Parish Churchyard. This took place in 1995. 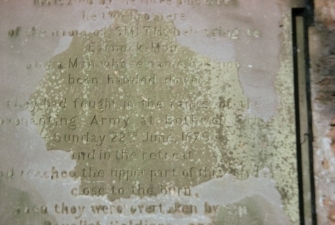 At the same time an informatory plaque was added, located between the two stones.